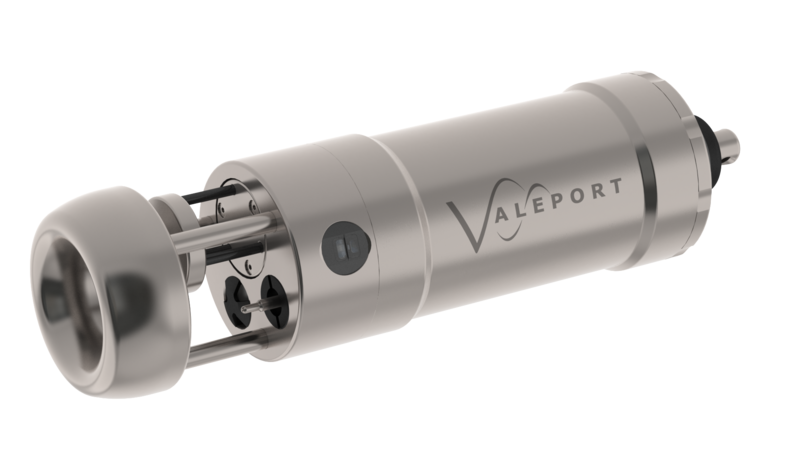 A new probe that combines the power of the SWiFT SVP and a turbidity sensor has been launched by British oceanographic and hydrographic instrument specialist Valeport. The new SWiFTplus uses Valeport’s high accuracy sensor technology which incorporates turbidity observations with sound speed, temperature and pressure sensor technology to also provide computed conductivity, salinity and density. This is coupled with Bluetooth connectivity and a rechargeable battery. The handheld profiler, constructed from Titanium, has been designed from the outset with the intention of a seamless workflow and has an integral GPS to geo-locate every profile. SWiFTplus is intended for coastal, harbor and inland environmental and hydrographic survey use. 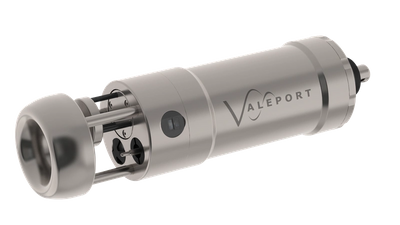 Valeport’s new turbidity sensor addition is effectively two sensors in one. The first is a “classic” turbidity sensor (nephelometry using a 90˚ beam angle) for low turbidity levels (0–2000 NTU) and the second uses an OBS optical backscatter arrangement (~120˚ beam angle for optical backscatter) at high turbidity levels (>20,000 NTU). Intelligent sampling eliminates the need to gain switch at higher turbidity levels. Using a ‘twist and go’ switch on the unit, data can be quickly downloaded, reviewed wirelessly via Bluetooth, using the new Valeport Connect app, allowing data to be instantly shared in industry standard formats through email and cloud services. Valeport's new Connect software is also available on PC and can be used with a USB cable for instrument setup, data extraction, display and translation to common-format data strings and additional tools. Designed specifically for the operation of SWiFTplus and new to market Bluetooth enabled products, the new software simplifies and streamlines operation and data download tasks. Valeport Connect offers download capability with data translation and, once downloaded, allows both current and historic data to be visualized. Multiple profiles can be compared in graph view, while graphs can be further shared via email or cloud services. The SWiFTplus is now available to order.